Don’t miss your favorite events at the 2018 Winter Games! Prepare for the trip of a lifetime by getting to know the locations of the Pyeongchang venues. We offer hotel accommodations in each area so that your party can be close to the action. Gangneung – City of 400,000 people along the coast of the Sea of Japan, all venues on one property. 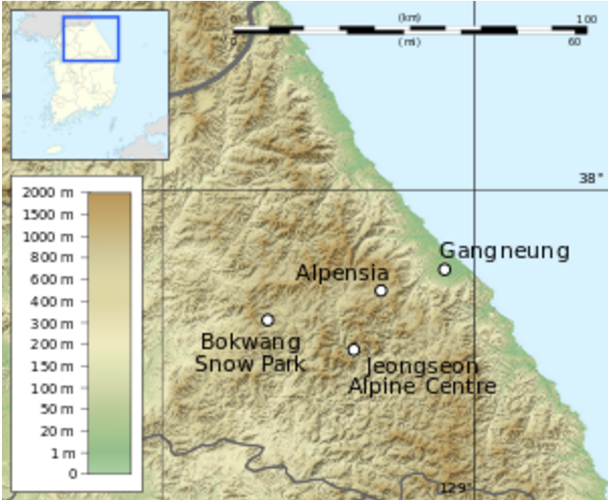 Pyeongchang – Alpine area of 9,000 people. Events distributed between three venues. Thank you, Bucket List Events. Y’all were awesome and over the top, we can’t thank you enough! Thanks a ton! Bucket List Events has been so attentive, helpful, knowledgeable & accommodating all done with a humane, personal touch. I want to take this occasion to say Thank-you to you and your Staff for providing Virginia and me with the opportunity of a lifetime. We do have a special place in our hearts for Bucket List Events. Thank you all...We had a great time and we really enjoyed using your company! We will see you in Korea [at the 2018 Winter Games].